Enjoy a FREE CHEESEBURGER MEAL, with the purchase of three entrees! *Dine-In only. Cannot be combined with any other offers or promotions. 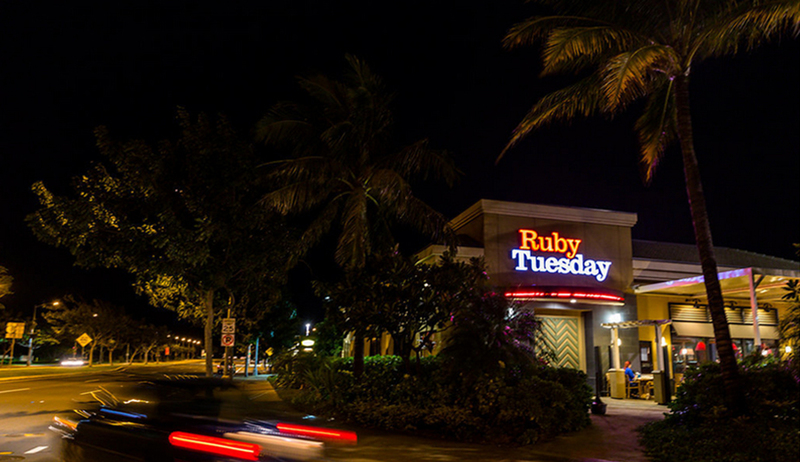 Catch live entertainment EVERY Tuesday 6-8 PM at Ruby Tuesday Kapolei! Eat & drink up with our extended Happy Hour specials (6-8 PM). *Happy Hour specials for Lanai seating only. Make your meals more memorable & try our new steak combinations, appetizers, salads, sides & more! Congrats To This Week’s Winners of a $50 Ruby Tuesday Hawaii Gift Card!